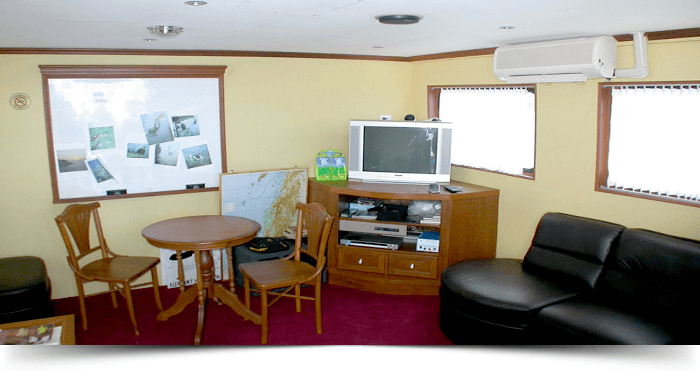 MV South Siam 3 is known as stationary vessel with all essentials for having a fantastic tour. You have option to customize your tour schedule and make flexible itinerary on your desired destination. Take your decision where to go and how long you want to stay. If you book this, you will get hotel transfer by minibus plus speedboat transfer from the pier. 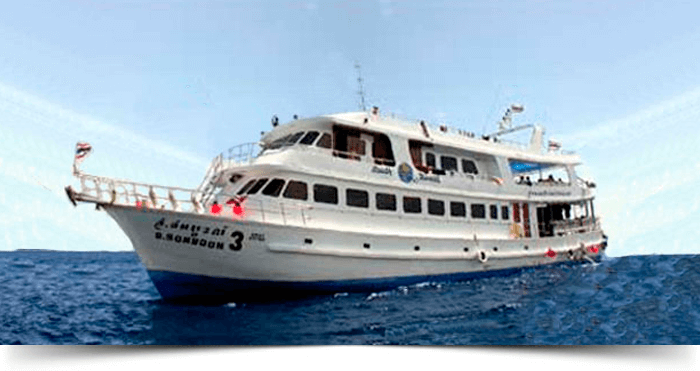 South Siam 3 is a low-budget boat to enjoy the Andaman Sea tour. 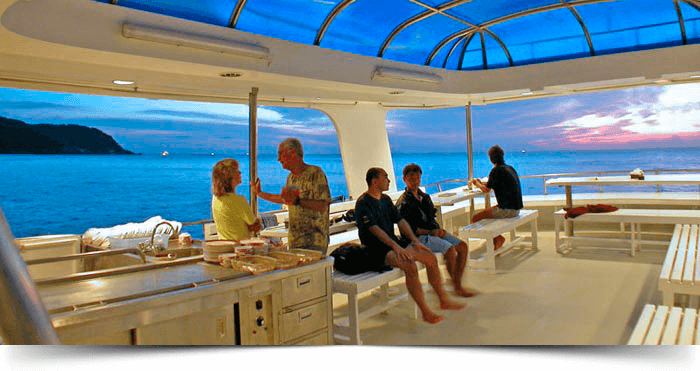 MV South Siam 3 is one of the biggest (about 30m) liveaboards containing upto 28 guests at a time. It has 12 spacious twin bed cabins and 2 double bed cabins with shared bathrooms. Every cabin is air-conditioned. 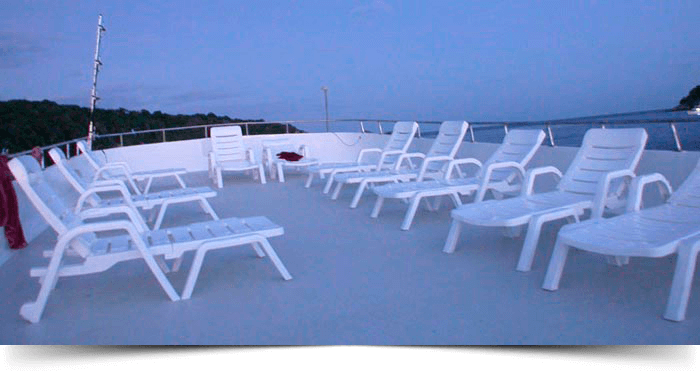 Sundeck is available with relaxed chairs on backside of upper deck. 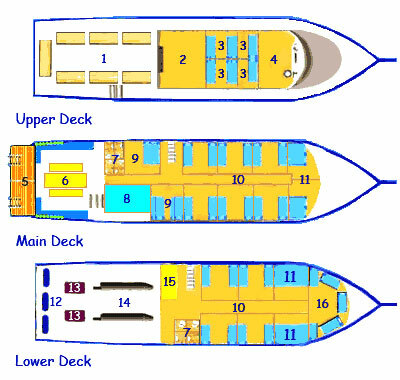 A spacious outdoor seating area exists on lower deck where meals are served. There is a Snacks and Ice-cream bar to enjoy light food. An indoor air-conditioned movie lounge has been designed with TV, DVD and sofa to enjoy leisure time. All necessary equipment of diving is ready to enjoy a breath-taking dive. Rinse tank is available to clear your diving gears.